Veteran expedition canoeist and leading coach Jules Burnard of Voyageur Canoeing will be leading two headline days of coastal canoeing at Canoefest 2015. Increasingly, canoeists are recognising the British coastline as “our Boundary Waters” – as the UKs greatest tripping and journeying options. 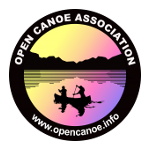 The OCA is working with Jules on assorted coastal canoeing courses… and these will be pilot days for the sorts of training others might expect in future. Get in during Canoefest 2015 to be the first beneficiaries and to shape what follows! Venue will be dependent on conditions and on the group – but Jules has lined up a heap of options, up to and including a jaunt out to Puffin Island. The days should cater for a range of abilities, from strong intermediate canoeists (solo or tandem) through to leaders and coaches looking to operate in such environments. Meeting time and place – Jules’ call!